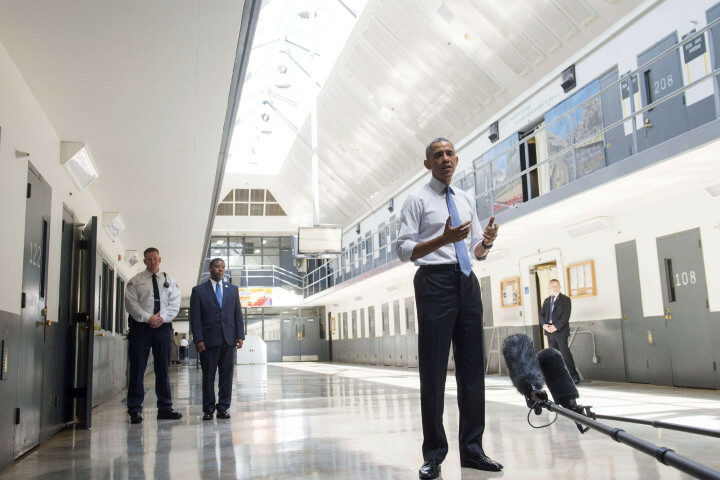 Obama’s visit to El Reno Federal prison (Correctional Institution) in Oklahoma is probably one of the few acts he has done that I agree with. Like most people, I assumed the justice system was fair – until I was confronted with the absurdity of American justice. Only then did I begin to appreciate how corrupt the system really is. The stereotype of inmates that even I had in mind was a ruthless, violent type of character. Only when I entered the system myself did I see the truth – only about 4% were violent, at best. For you see, the Feds have “conspiracy” which can be used to charge and sentence individuals to the same amount of time as if they had actually committed the crime, instead of merely thinking about it. I met a priest who wired money to China as a favor to help someone whom he believed needed the money for an operation. That recipient turned out to be a drug dealer. Others agreed to bag some crack in return for money to pay for a funeral. One was a superintendent in an apartment complex and drug dealers merely said he would let them know if the police were around. Another was asked for the location of someone, he responded by saying something to the effect of “over there” and the people asking the question ending up killing that man. He later committed suicide to avoid serving life at 22 on a conspiracy of murder charge for merely answering the question, “Where is he?” Conspiracy is a standard crime for everyone charged by the government, since you never actually have to prove a crime was committed. The crime is merely an agreement. Long sentences are destructive for you cannot lock up people for decades and then expect them to return to society. It is just inhumane. I had a black inmate crying in my cell because his sentence was up and he did not want to leave. He was about 55 and had spent nearly his entire adult life in prison since the age of 19. His family was dead; he had no one to return to and was unable to envision having a job. This is what you call institutionalized. All he can do is quickly commit some crime to get back inside the prison. This is extremely common. Inside, it is free room and board. There is no taxation, no telemarketing calls, and no one can visit you unless you put them on a list. It is more like a monastic lifestyle in Federal prison for very few people are actually violent. Besides it costing more to house an inmate than most people pay to go to college, the social damage is huge. The people in prison for drugs are never the real kingpins. Typically they are street sellers, lock them up and another takes their place. There is no actual endgame. Besides that, crime rises with economic decline and falls when the economy expands. The Clintons signed for mandatory minimums, which sent the prison population up to 25% of the world’s prison population, despite the fact that the U.S. has just 5% of the world’s population. Hillary counts on the minority black vote, yet her and her husband signed the law that has imprisoned more blacks than all the presidents before them. Then Bush Jr put in John Ashcroft at the head of the Justice Department. Besides this nut-job putting a tarp around the bronze statue of Justice because her bare breasts offended him, he changed the rules whereby a prosecutor would not get credit for a conviction unless the person was sentenced to prison. Between the Clintons and Bush Jr, they wiped out American liberty and justice for all. The crisis is conspiracy – eliminate that and we return to a justice system that punishes only people who actually commit crimes. The proposal to eliminate the question asking if someone is a felon on employment applications is certainly reasonable. Why? They are typically discriminated against since the public remains ignorant of the abuse of the Justice System. Additionally, even J.P. Morgan Chase is a felon since the banks were criminally charged for their manipulations, yet the SEC waived their automatic ban from having a banking license that applies to felons. What is good for exempting the bankers, should apply to everyone else. If I were President, I would pardon everyone charged with conspiracy who did not actually commit the crime. Conspiracy use to be a maximum sentence of 2 years. When Congress made the time for conspiracy the same as committing the crime, the prisons filled and prosecutors no longer had to prove anyone actually committed a crime – they just had to be remotely connected to someone.